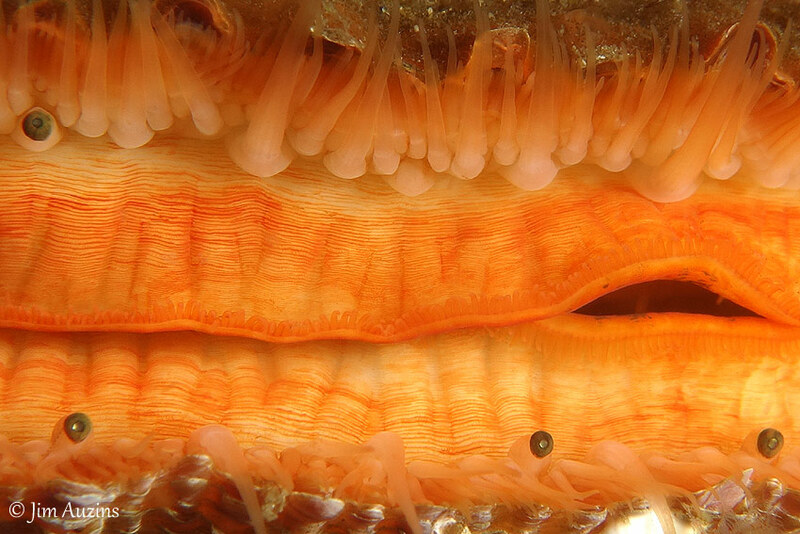 This close-up photo of some feather star arms shows details of their structure. Each feeding arm (ray) has lateral branches that increase the surface area. Feather stars (Florometra serratissima) are passive suspension feeders gleaning small particles and plankton from the ocean water flowing past their extended arms. The very fine filaments extending off of the lateral branches are actually finger-like tube feet (podia) ready to grasp onto food particles. 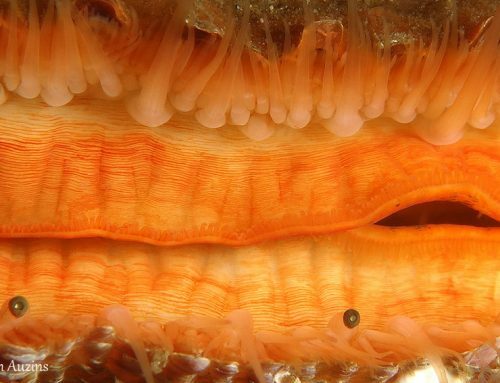 The tube feet of feather stars lack a sucker at the end unlike other echinoderms (having radial symmetry) like sea stars, sea urchins, sea cucumbers and sand dollars. Food is gathered by the tube feet and passed down a central groove in each ray towards the mouth located in the central disc. Feather stars can grow to 10 inches (25 cm) across, with a range from northern Alaska to northern Mexico.